Hope & Glory Festival makes it’s debut this weekend across St George’s Quarter, with James and the Haceinda Classical headlining. So we take a look at five acts to catch across the weekend. 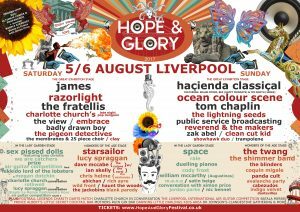 So James and Hacienda Classical are topping the bill at the inaugural Hope & Glory Festival, ensuring it to be a nostalgic weekend ahead. There’s plenty of more bands on offer across the weekend though that’ll make Hope & Glory one to remember. So here are our five acts to see around St. George’s Quarter that we tip to be highlights at the festival. The Jackobins are making a rare appearance in their hometown, after their recent performance at Y Not? Festival, we’re excited to catch them again in drier conditions. 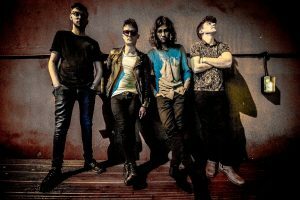 A band who perform with a swagger as though they are headliners, with soaring anthems like latest single ‘Nightfire‘, the set is going to be one not to miss this Saturday. 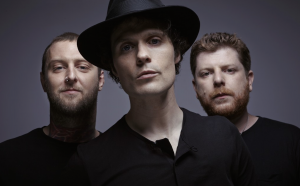 Returning to Liverpool, The Fratellis have a reputation for putting on thrilling live shows. With anthems like ‘Chelsea’s Dagger‘, ‘Whistle For The Choir‘ and newer stuff like ‘Baby Don’t You Lie To Me!‘, this is going to be one of the highlights of the weekend! 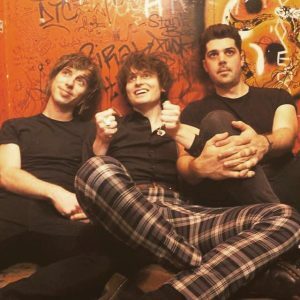 Surging indie-rock, Trampolene kick off festivities on Sunday with the perfect hangover cure. With a sound that’s like Interpol but not depressed on ‘Beautiful Pain‘ and then the harrowing but accurate depiction of an A&E visit with ‘Saving My Life in A+E‘. The Welsh rockers just announced that their debut album Swansea to Hornsey is on the way later this year, giving early arrivers a chance to see what the fuss is all about surrounding this band. 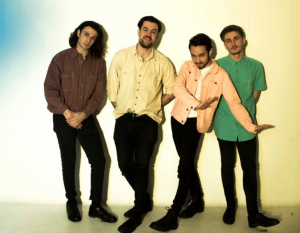 Frontman Jack, spoke about playing on the Great Exhibition Stage and returning to Liverpool; “We’re really chuffed to be opening the main stage as usually at festivals we seem to play out on the fringes. 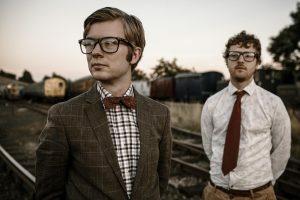 When you listen to Public Service Broadcasting, it’s like the perfect history lesson. Their first album Inform-Educate-Entertain gave us rinse-down on Britain’s fashion scene, Mount. Everest and the creation of the Spitfire plane. They followed that up in 2015 with the stunning The Race For Space, which used archive footage of the Space Race between the US and Russia in the 60s. Now they’re back with new album Every Valley, which now gives us a history lesson on the mining industry in Wales. The duo play on The Great Exhibition Stage, fittingly beside the National Museum on Sunday. Go and get the best history lesson music can offer this weekend. With a breezy 80s vibe about them, synth-pop doesn’t sound much better than this. Latest single ‘Blue Angel‘ is a delightful track that’s going to sound great echoing around St. George’s Quarter this Sunday. While other single ‘First Time‘, is a heartwarming track and should be a great way to get ready for headliners Hacienda Classical, later on.